To enter Tunisia, a passport valid for the duration of stay is required by all nationals referred to in the chart above. 1. British and all EU citizens (except Cyprus) can enter Tunisia without a visa from 90 days to 3 months depending on your nationality. In addition to EU countries, citizens of the following countries also do not need a visa to visit Tunisia: Algeria, Andorra, Angola, Antigua and Barbuda, Argentina, Australia, Bahrain, Barbados, Benin, Bosnia and Herzegovina, Brazil, Brunei, Burkina Faso, Canada, Cape Verde, Chile, China, Comoros, Costa Rica, Cote d'lvoire, Equatorial Guinea, Fiji, Gabon, Gambia, Guinea, Guinea Bissau, Hong Kong, Honduras, Iceland, India, Japan, Jordan, Kiribati, South Korea, Kuwait, Libya, Liechtenstein, Macedonia, Malaysia, Maldives, Mali, Mauritania, Mauritius, Mexico, Moldova, Monaco, Montenegro, Morocco, Namibia, New Zealand, Niger, Norway, Oman, Qatar, Russia, Saint Kitts and Nevis, Saint Lucia, San Marino, Saudi Arabia, Senegal, Serbia, Seychelles, Singapore, South Africa, Switzerland, Turkey, United Arab Emirates, United States and the Vatican City. Nationals not referred to in the chart are advised to contact the Tunisian Embassy to check visa entry requirements. Visa requirements change often – check at least a month before travelling. A seven-day transit visa is also available. Allow two weeks for visa processing. 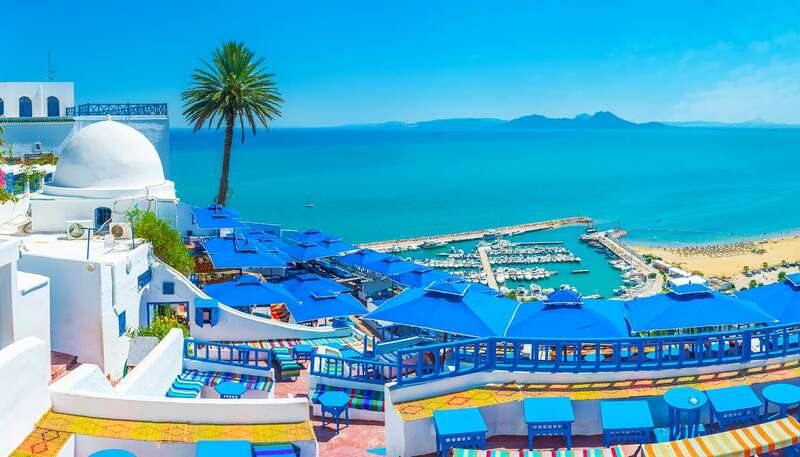 Children entering Tunisia are required to have their own passport. Dogs and cats must be vaccinated for rabies 30 days before travelling to Tunisia. A qualified veterinarian in your home country must complete the Tunisian Veterinary Certificate declaring that your animal is healthy and fit to travel. This then acts as a passport for your pet. Animals with the correct documentation are not required to be quarantined once they have arrived.